The regenerated granule produced by T & T is obtained exclusively from the regeneration of production waste from the processing industries. Waste is carefully selected and divided into three different types: neutral and colored LDPE, neutral and colored LLDPE, neutral and colored COVER STRETCH. T & T has 4 regeneration plants, specially designed for various materials, and 6 mixing silos. Thanks to this technology and to a rigorous selection method, the result obtained is a prestigious material with enduring quality, which ensures high resistance performance and guarantees reliability in processing. 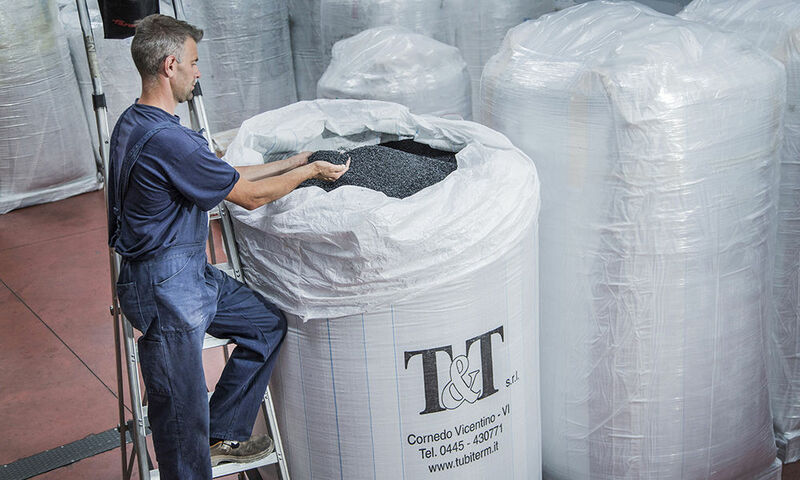 The regenerated T & T granule is generally used for extrusion (for example plastic films, bags, shoppers, etc...). If specific additives are added to the material, it can also be used for coating pipes (‘coating’). 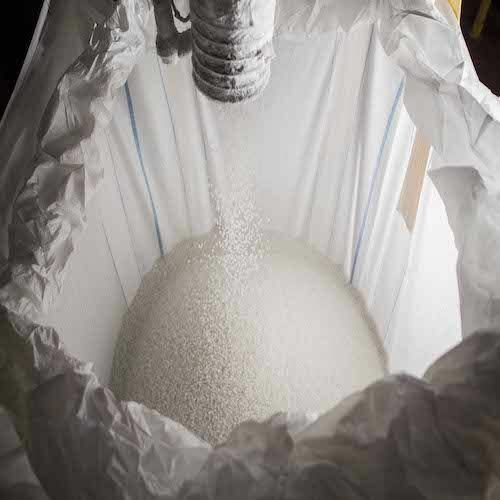 The granules can be packaged in bags of about 25 kg / each or in big bags, covered with AUV hood and wrapped with stretch film for outside storage. The laboratory inside the company always provides samples of regenerated granules with the relative extruded film and the analysis ratio with the values of melt index and density. 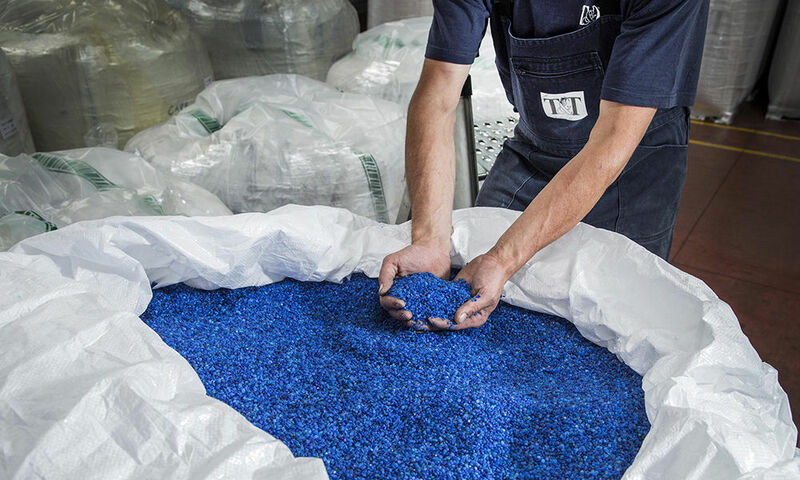 As all T & T products, even the regenerated granule is non-toxic and recyclable.